My battle with acne and breakouts began in 2016 and I wasn't able to get a good grip on it until about a year later. I know many people have a struggle with breakouts and acne so I thought I'd share how I was able to finally get clear skin. BE WARNED: It took a lot of patience and sacrifice to get to clearer skin, but it was totally worth it. If you're going to start this, you must be consistent. I knew that if I do not stay consistent with my skincare routine, I will not get very far and any progress I make will be reversed. If you're going to get serious about changing any part of your lifestyle, consistency is key. Otherwise, progress won't last long and will be sporadic. This has been the hardest part of my skincare routine. If you know me, you know I drink a latte with whole milk every. single. day. However, I knew that dairy is a very common cause of skin breakouts so I knew that I had to reduce my dairy intake. This includes yogurt, cream cheese, milk and other forms of dairy. Since my latte addiction is too strong for my own good, I knew that cutting out lattes was an unrealistic goal. Therefore, I cut out all forms of dairy from my diet except my lattes. HOWEVER... three months before my wedding I stopped adding whole milk to my lattes as well. I still had lattes every day, but I drank them with coconut milk instead. I absolutely HATED every. single. sip. But I did it for the skin and for my wedding day. This helped my skin A TON! I literally had the best skin of my life before my wedding day. 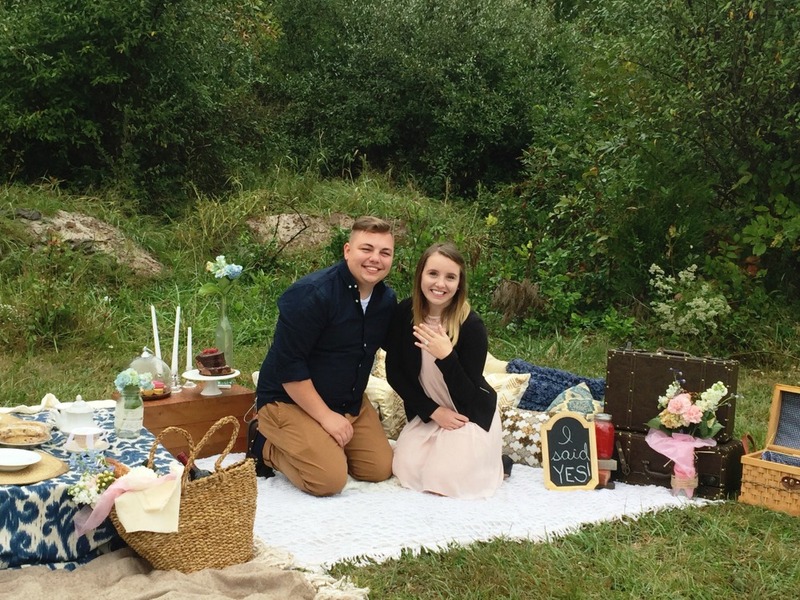 However, I was also so excited to bring whole milk back into my lattes after the wedding day! At this time in my life, I consume dairy to a bare minimum except for my daily latte with whole milk. I know, I sound like a broken record. Everyone tells you to do this and it's so annoying, especially when you are exhausted. Believe me, I KNOW. But there is a reason everyone tells you to always wash your face no matter how high your exhaustion level is. Wash you makeup off every single night and treat your skin with proper skincare products in order to nourish your skin while you are sleeping. This also lets your pores breath instead of being clogged with makeup gunk. It's also important to wash your face in the morning. Not only is it helpful in washing your eye boogers out, but it also cleans the skin from any sweat (if you get sweaty at night) and gunk that may have accumulated on your pillow from the past couple days (depending on how often you change your pillowcase). Different products work differently for different people, so find what products work best for you. I didn't use any specific anti-acne or breakout products, but focused more on just cleansing, moisturizing, and creating a simple routine. The following are some things that work for me. 1. 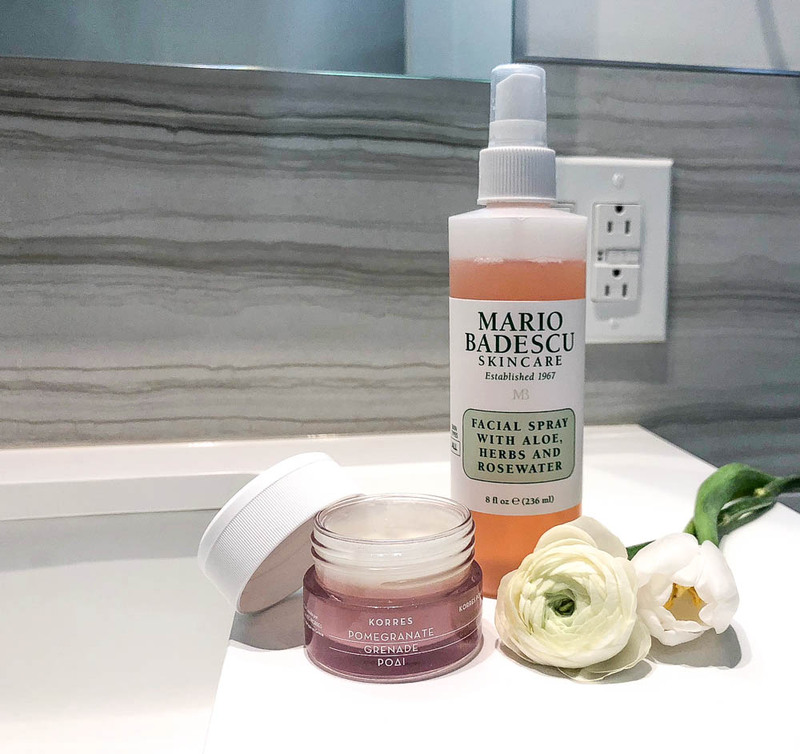 Mario Badescu Facial Spray: I love this particular facial spray with aloe, herbs, and rosewater. It helps to calm my skin after I wash it and reduces redness. 2. Korres Pomegranate Balancing Cream-Gel Moisturizer: This moisturizer does a wonderful job moisturizing my skin and does not make my skin oily. I usually just use a nighttime eye cream (more on that below) and that's it. 1. 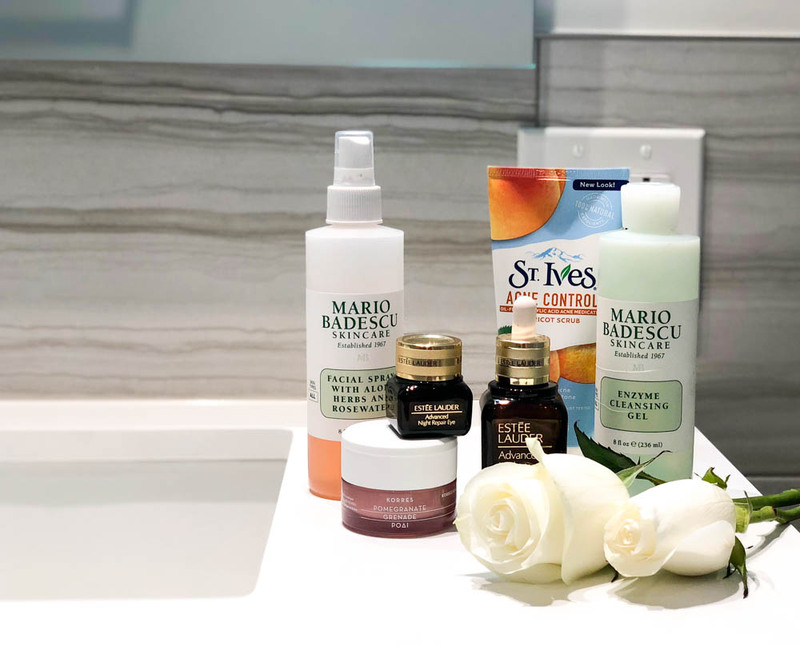 St. Ives Apricot Scrub: Exfoliating your skin is so important for a brighter complexion without any dead skin hanging off your face! I have been using this particular scrub for years now. I love that it gets the job done so well, while also being so gentle. 2. Mario Badescu Enzyme Cleansing Gel: I absolutely love how this cleanser makes my skin feel rejuvenated! The fruit enzymes and alpha hydroxy acids help to wash away makeup, oil, and other impurities, which makes my skin feel so fresh and bright after I cleanse! LOVE this stuff! 3. 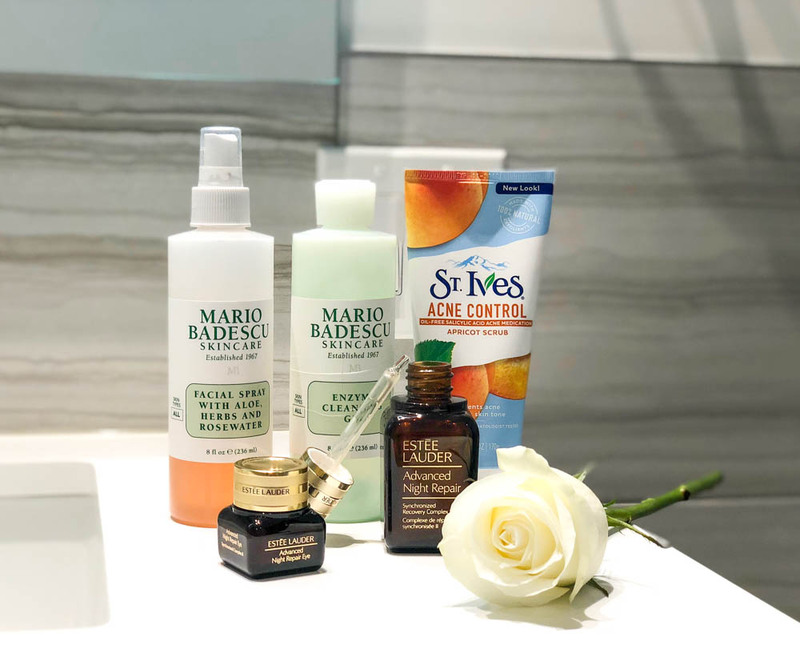 Mario Badescu Facial Spray: I use this facial spray in the evening again to help with redness and to calm my skin. 4. 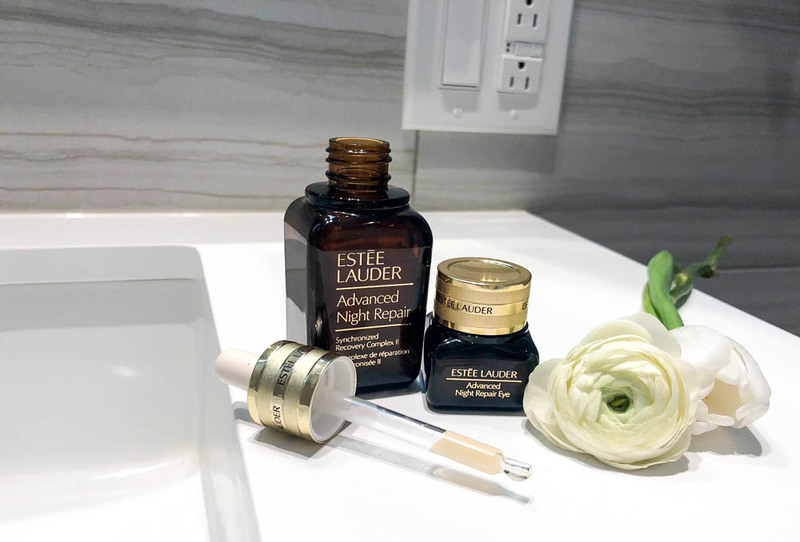 Estēe Lauder Advanced Night Repair Eye Cream: I always make sure to use an eye cream at night so that it can work to repair my under eye area as I sleep. This particular one is SO moisturizing and feels super luxurious. 5. Estēe Lauder Advanced Night Repair Synchronized Recovery Complex: This gives you the most heavenly, moisturized skin when you wake up in the morning. I love soaking my skin in this pure magic while I sleep! If you abuse your skin and don't show it any love, literally none of these steps would be helpful. 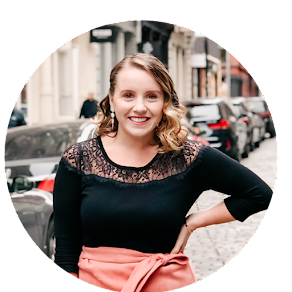 I hope you enjoyed reading this post and found it helpful. If you have any tips or products that you absolutely love for your skin, I'd love to hear about them! Feel free to leave a comment below or send me a message on my instagram (@alena.votchits)! This is incredible, I'm really surprised with the results, how long did it take you to achieve these kind of results? Thanks, Afrik! It took about 6 months to significantly change my skin. Let me know how you like them and how they work for you!